In a world full of gelees, reductions, bechamels and chiffonades, sometimes all we want is a plain ol’ Chicken burrito.For me, that often comes in the form of burritos. I have loved this classic recipe ever since I was a kid. 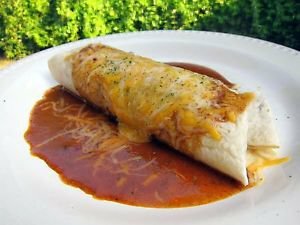 It’s not the most attractive food, to be sure, but it sure does hit the spot when I’m hungry!You are buying a recipe for Chicken Burrito. Burrito lovers will flip over this temptingly Delicious Dish.We accept Paypal only.Once we receive your feedback we will do the same for you in return.